Rihanna attends the Ocean’s 8 world premiere in New York City on June 5, 2018. Cate Blanchett, Awkwafina, Sarah Paulson, Anne Hathaway, Sandra Bullock, Mindy Kaling, Helena Bonham Carter and Rihanna attend the Ocean’s 8 world premiere in New York City on June 5, 2018. 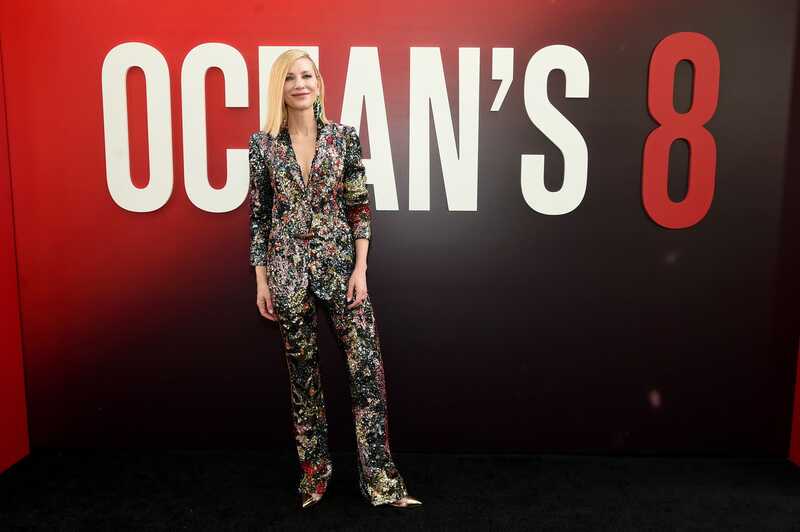 In case you somehow managed to miss the buildup for the premiere of what will likely be the most fashionable film of the year (sorry, Black Panther), the much-anticipated all-female reboot of the decades-old Ocean’s franchise opens this Friday. Abandoning the capers of Danny Ocean and the gang, this installment picks up with sister Debbie and the execution of a fashion-fueled heist set during the biggest night in fashion: the Met Gala. It’s clearly the film the fashion set has been waiting for, as designers, models and jeweler Cartier all clamored to take part in the film (more on that to come). But they certainly turned out in full force at New York City’s Alice Tully Hall on Tuesday to applaud the eight actresses of Ocean’s 8 and see if the addition of Sandra Bullock, Cate Blanchett, Anne Hathaway and, of course, our beloved Rihanna to the hit franchise is enough to steal our hearts. But since we really did come here to see what Rihanna was wearing, let’s get into it: Royal-wedding-dress designer Clare Waight Keller of Givenchy continued her winning streak as Rih chose a liquid-metallic-plum, ruffled and crystal-pleated one-shouldered confection from the collection, which she paired with matching strappy heels and gold-and-diamond statement earrings from Bulgari, accessorizing the look with a diamond-and-rubellite watch from the jewelry brand’s Serpenti line. Rihanna wears Givenchy to the Ocean’s 8 premiere in New York City on June 5, 2018. 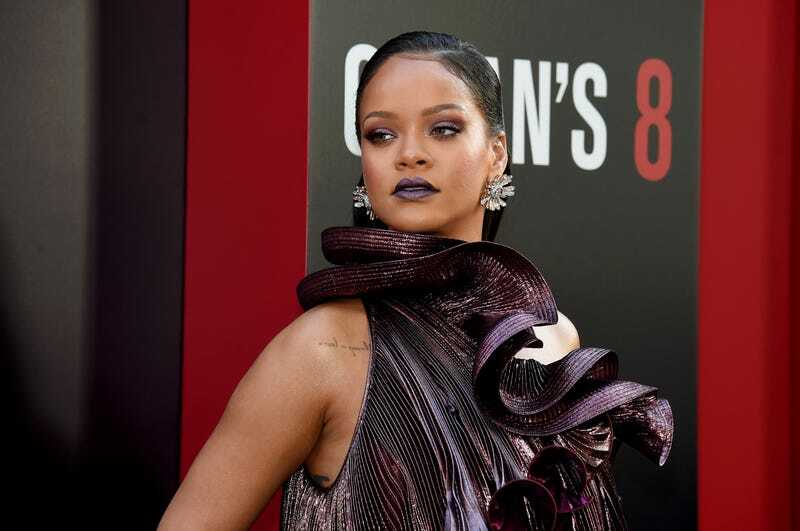 Rih carried the dress’s dynamic plum color—which purportedly shifted to bronze in the light—up to her face with an aubergine smoky eye and matte plum lip, letting her face take center stage, with a side-parted ponytail. Ocean’s 8 opens Friday, but AMC movie theaters are hosting advance “Girl’s Night Out” screenings at select locations starting Wednesday night, which will include a collectible gift and an order of gourmet popcorn. The cinemas have even designed an Ocean’s-themed cocktail for their MacGuffins bar locations: “The Heist” includes peach vodka, triple sec, orange juice and a splash of soda.